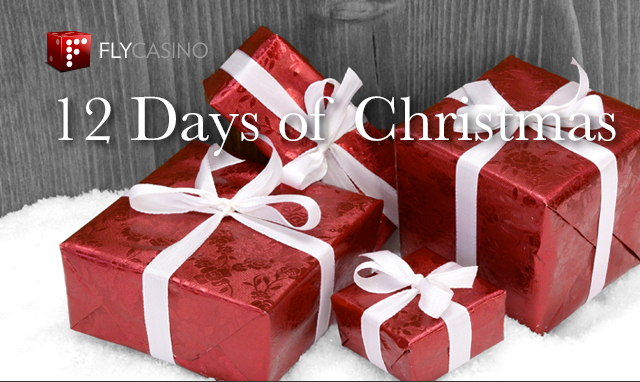 Enjoy 12 Days of Christmas at Fly Casino. Elevate your holiday season at Fly Casino with our joyful 12 days of Christmas promotion. This amazing promotion provides you with joy every time that Santa delivers you a present to your email. Look for your email from Santa! The presents change each time, so you never know what you’ll get or when! $144.00 Bonus! On Sunday from 00:00GMT until 23:59 GMT, all members on their deposit of just $/£/€30 or more will receive a 77% bonus up to 144.00. $200 IN BONUS! From 00:00GMT until 23:59 GMT, all members on their deposit of $/£/€30 or more get a 100% bonus up to 200.00. $166 BIG TUESDAY! From 00:00GMT until 23:59 GMT, all members on their deposit of $/£/€30 or more will receive a 166% bonus up to $166.00 bonus.